Anthropologie of course had to have its separate post when it comes to window displays. 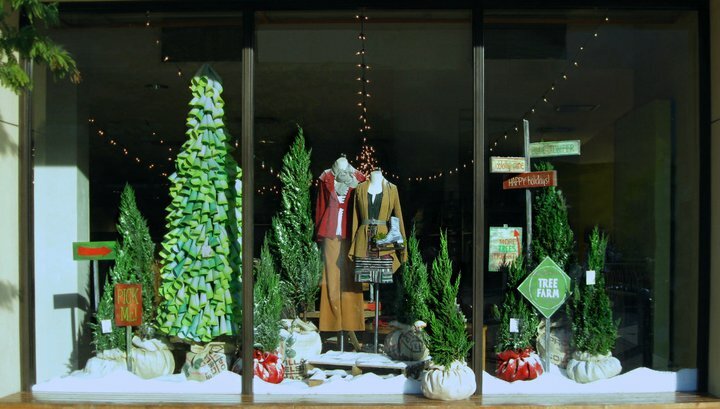 They hit another home run with their various looks throughout the country this 2010 Christmas season. I love how each store has a slightly different take with their creative details. My goodness, they are good. I always look forward to their displays throughout the year and now they're coming to my city in the spring... can't wait! 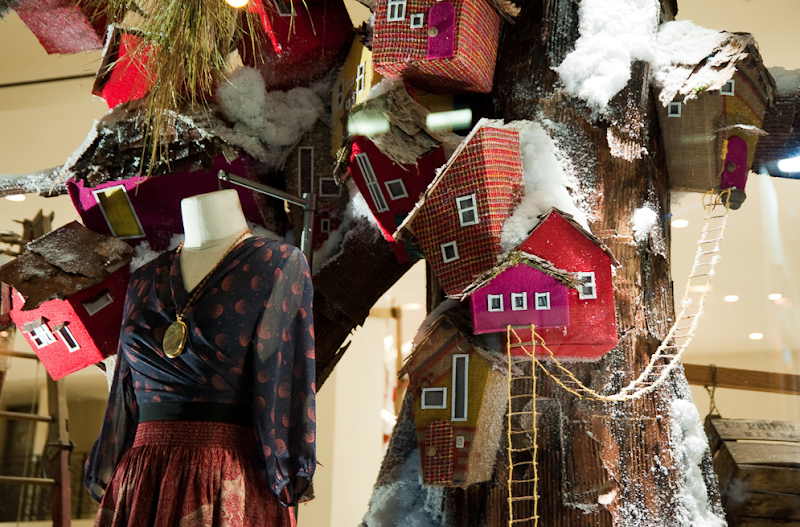 they always have the BEST windows...such creative elves must play there. 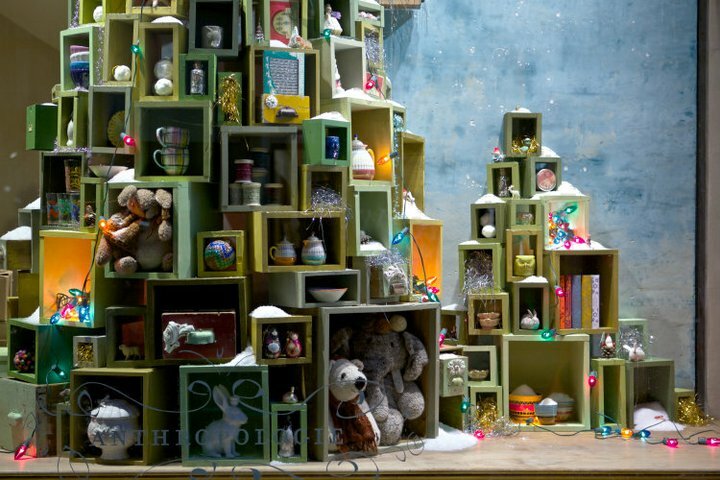 I wonder, does Anthropologie ever have bad window displays? Fantastic. Love that each store has its own design crew. Makes for cool variations on a theme. I wrote a post about my trip to the Anthro Rockefeller Center. You can check it out at my blog. I was disappointed that this huge store had such lame windows. 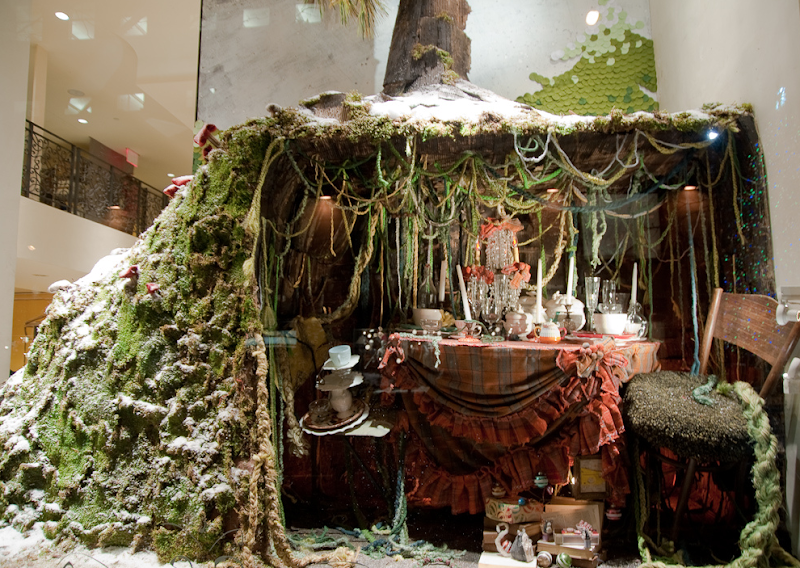 I've said this before, and I'll say it again, why doesn't Anthropologie come out with a coffee table book of their best windows?! I just shared some pictures that I took of the store in Santa Monica..too bad it was raining so hard I　couldn't take pictures of the window displays. Wow, they are amazing, really really creatives. Magical. Why don't we have a store in The Netherlands?! 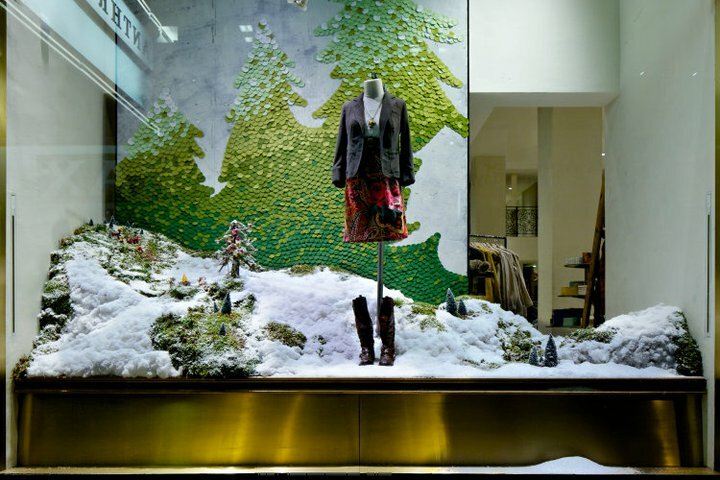 probably the best window display this season, yup, definitely. i absolutely adore anthropologie! i would kill to be a window dresser for them! 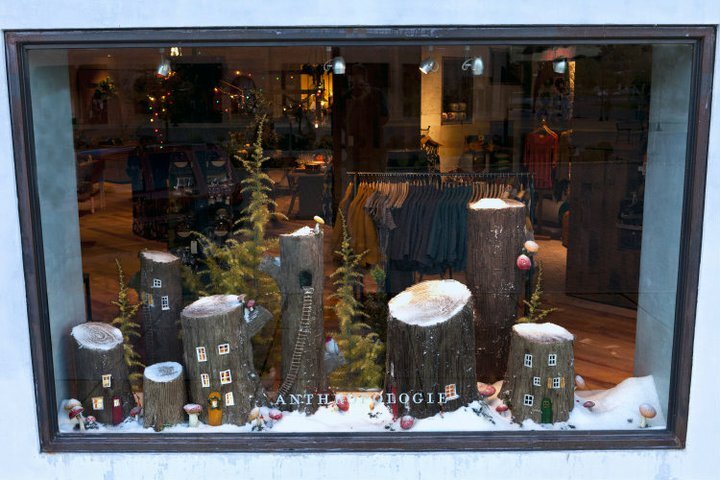 Were the magical elves live during the winter months in the logs.